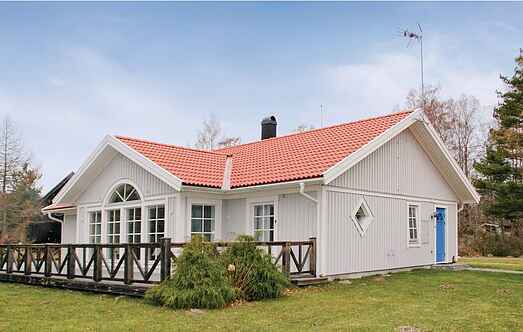 Choose from a selection of 8 holiday rentals in Habo Municipality. Use the search form to the left to filter the results and pick your choice of self catering accommodation in Habo Municipality. We have a good selection of holiday apartments in Habo Municipality perfect for family, single, romantic and group holidays. You may prefer to take a look at our listed holiday villas in Habo Municipality or holiday apartments in Habo Municipality. Find your holiday homes by a specific type using the property type drop down in the filter. Filter the holiday homes in Habo Municipality by a specific area using the area list above. This cosy villa is well maintained and appears stylish and fantastic. From the terrace and almost all the rooms, you can view Vättern Lake. Mooi appartement, met smaak ingericht en goed meubilair. U kunt een zeer goede standaard verwachten met massajets in het bad en verstelbare bedbodems in de bedden.